Blogfinger’s annual “name that bird” contest. It’s an Anhinga. Janet Kaden wins. Photographed by Paul Goldfinger, Blogfinger.net. February, 2018. Southwest Florida. © Click to enlarge. That looks like an anhinga, relative of the cormorant, affectionately nicknamed snakebird for its long- necked look in the water before diving for food. They have to then dry their wings spread out while sitting in a tree. 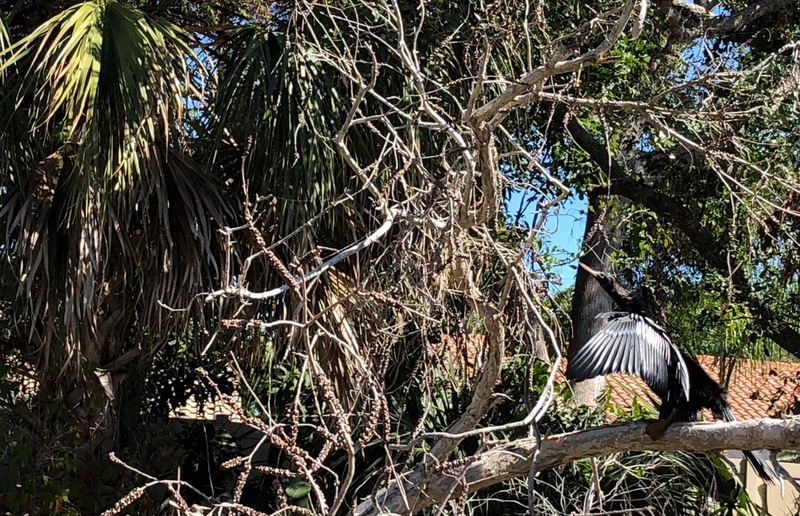 That bird looks like it has turkey feathers… I’m guessing it is an Anhinga. Editor: Janet sent in her comment by email at 12.10 pm Feb 25.